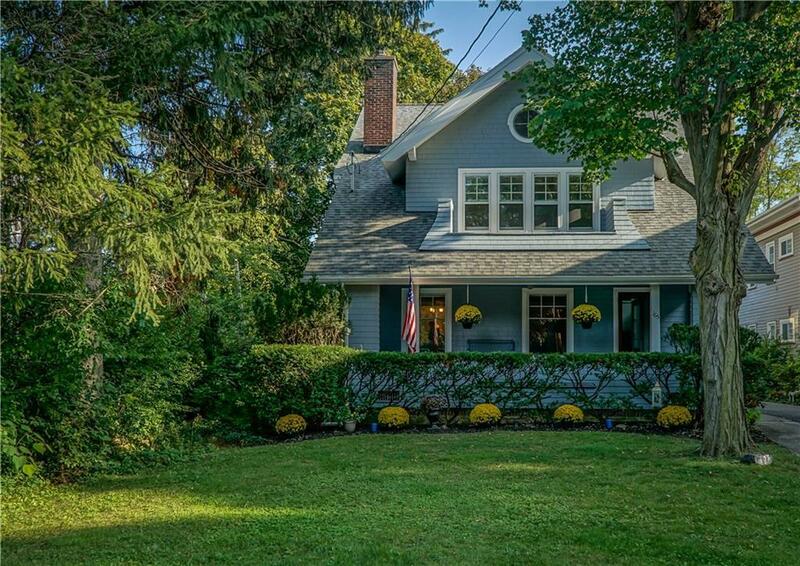 Historic Howell St. "Arts and Crafts" beauty near Sonnenberg Park and Mansion! Enchanting tiled fireplace with leaded glass bookcases grace the living room with 9 foot ceilings and hardwood flrs. French doors lead to the formal dining room with bay window seating and wide picture rail molding. The kitchen includes white cabinetry, granite countertops, new tile flooring and appliances. Other amenities include a first floor den/study with half bath that could double as a first floor bedroom, wide open staircase, marble mosaic airlock entry and an open back porch area that leads to a large back yard. The second floor includes three bedrooms - one with a delightful "sleeping porch", bath and a huge master suite with private bath. The third floor includes another room with separate bath. Directions To Property: North Main Street To Howell. House Is Located Past Park Street On Right With Sign.